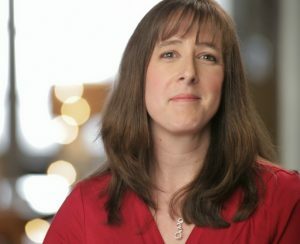 Last week, I needed a quick and easy dessert recipe to take to a church event. 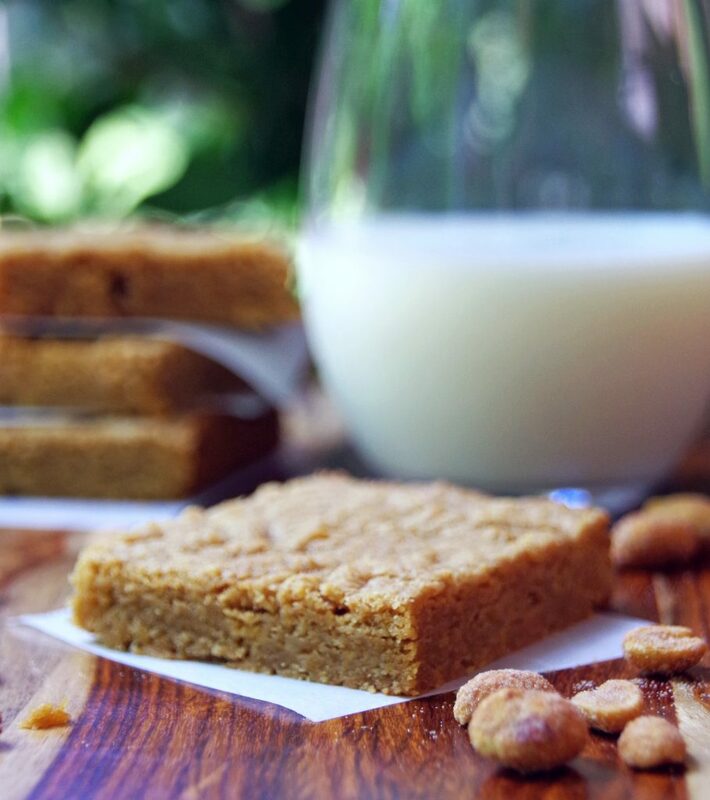 I found a peanut butter blondies recipe that looked perfect and whipped up a batch. Of course, my 16 old son was horrified that I was taking ALL that delicious goodness to church! WHAT? None for a hungry teenager? He practically wept right there in front of my eyes. So, today I am whipping up batch two of my peanut butter blondies recipe as a treat for when he gets home from school. Pretty sure I will be winning the ‘best mom ever’ award today! Know what I love about this blondies recipe? There are only 6 ingredients in them and it takes less than 10 minutes to get the batter into the pan to bake. Seriously….if you are looking for an easy dessert recipe, these peanut butter blondies are perfect! There are a few ‘add ins’ you could toss into your peanut butter blondies if you really want to get creative. Chopped peanuts or chocolate chips would be good but we decided to go plain for now. Also, I considered using almond butter since I bought 4 jars on clearance last week but I will save that for next time. I think this peanut butter blondies recipe would be just as tasty as an almond butter blondies recipe! 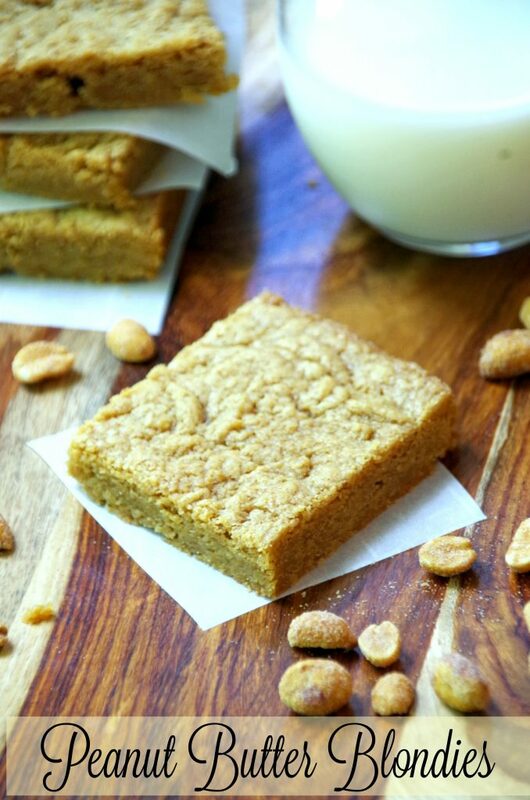 This Peanut Butter Blondies Recipe is quick and easy to make and a huge hit with peanut butter lovers! Bake for 20 to 25 minutes or until knife inserted near center comes out clean and edges are just starting to brown. Want more peanut butter recipes? 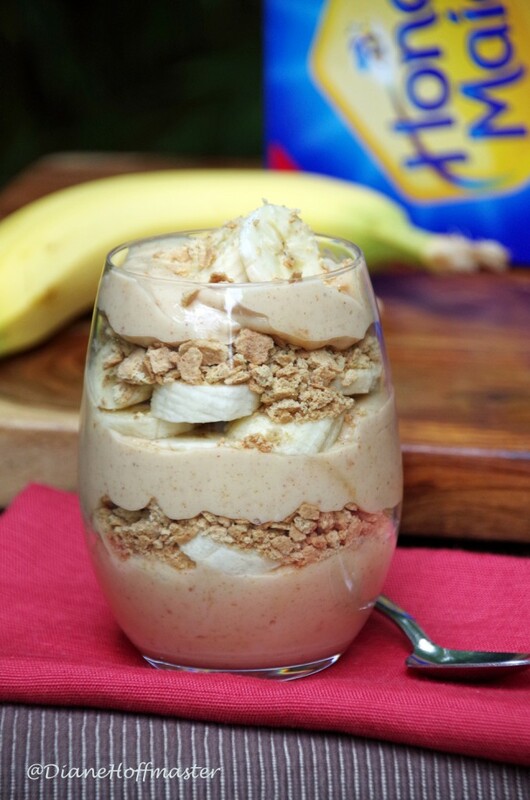 Try this peanut butter and banana parfait recipe!